Relate: “Why can’t you understand what I am saying? It’s because you can’t even hear me!” Have you ever been there? You tell a long story and at the end nobody gets the point. When you look for feedback they are all complaining or commenting about some peripheral thing from way back at the beginning. You almost want to throttle them while saying, “did you even listen to the rest of it? !” You argue your point as to why A is right and not B with eloquence and precise logic, but when you are finished the other person says, “that doesn’t prove anything. B is still right.” SERIOUSLY?! Did you even hear what I said? At LEAST tell me why you think I’m wrong instead of just dismissing it out of hand. For the preachers and teachers out there, you present a sermon or teach a lesson and all people remember is that one illustration that you almost didn’t include to begin with. Now you wish you hadn’t because everything else you said, the meat of what you were trying to present, has fallen on deaf ears. 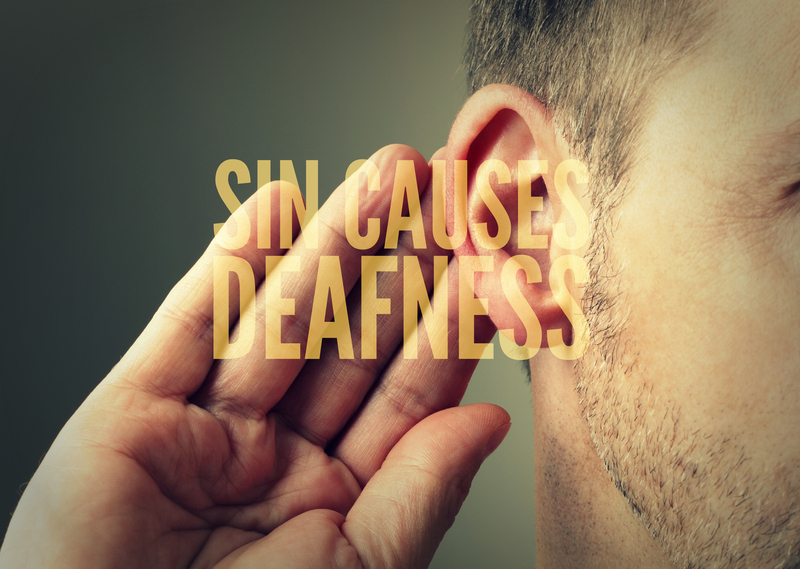 How much of what God is saying to us falls on similar ears? How often do we get so caught up on peripheral issues or the illustrative stories that we miss out on what He is really saying? Let’s say I went a year without telling a single lie. For 365 days everything out of my mouth has been completely truthful and in no way misleading. Then, for some strange reason, I decide to tell a lie. In the grander scheme of things it isn’t an incredibly big lie. Most people wouldn’t even think twice about it, but because it has been so long since I had sinned in this way I feel horrible. It is as if someone had punched me in the gut. It hurts so bad that I can’t repent quick enough. I do. I beg God for forgiveness and for the rest of the day and the one following I am once again completely honest. Then, sometime two days later tell another. It isn’t a big one, but it is big to me. Again I feel bad and again I repent, but about six hours later I am horrified that a third lie has passed through my lips. Although I continue to apologize to God I find myself falling into the habit of lying once, then twice or even sometimes three times a day. Each time the guilt seems a little bit less. Each time I am a little slower in getting on my knees before God about it. One day I realize that I have told four lies and I didn’t even notice. Part of me feels bad but another part shrugs it off. Hey, four lies is nothing compared to what most people do. Besides, none of them were about anything serious. No one is getting hurt. Next thing you know I’m lying more often than a lawyer. A politician confronts me and calls me dishonest but it doesn’t really sink in. I can no longer hear that still small voice that used to convict me of my sin. It isn’t that the voice has faded away. What has happened is that my sin has made me deaf. I wonder, when we are praying and it seems as though God doesn’t hear our prayers, is the real issue that we can no longer hear His answer? God, for the sin that has pulled me away from You, I repent. For the callouses that have grown over my heart, I beg forgiveness. For those times that I have blamed You for the distance I feel from heaven, forgive me. I know that I am the one to blame. I have sinned. I have taken for granted, even to the point of neglect, Your mercy. Unclog my ears. Tenderize my callouses. Create in me a clean heart once again, O God, and do not cast me from Your presence. Let me always hear Your voice and keep me far from the sin that causes deafness. Great post on River Walk. Are you blind and deaf? Don’t you remember?